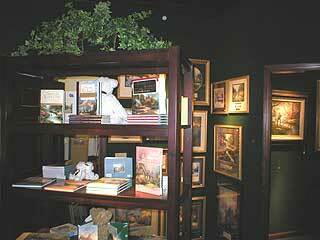 Located in one of Huntsville's finest malls, Thomas Kinkade at Madison Square is Alabama's source for Kinkade prints. With a staff of highly trained and friendly Art Consultants, you are sure to feel welcome and find what you are looking for. With a fine selection of limited edition canvas, inspirationals, collectibles and books to choose from, Madison Square shoppers are sure to get what they want at our gallery. Take I-565 East off I-65 towards Huntsville. Take the Research Park Blvd. exit north. Take the Hwy 72 exit from Research Park Blvd East on Hwy. 72 (University Drive). Immediately turn right into Madison Square Mall. Our Gallery is right next door to Sears on the upper level. Take Hwy 72 East. Hwy. 72 becomes University Drive. Drive under the Research Park Blvd. overpass and Immediately turn right into Madison Square Mall. Our Gallery is right next door to Sears on the upper level. Take Hwy 72 West. Take I-565 off Hwy 72 towards Huntsville. Take Research Park Blvd. exit north. Take the Hwy 72 exit from Research Park Blvd East on Hwy. 72 (University Drive). Immediately turn right into Madison Square Mall. 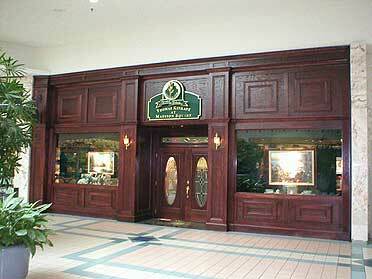 Our Gallery is right next door to Sears on the upper level.